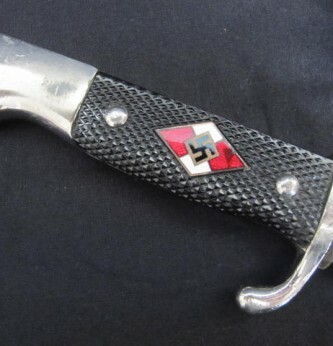 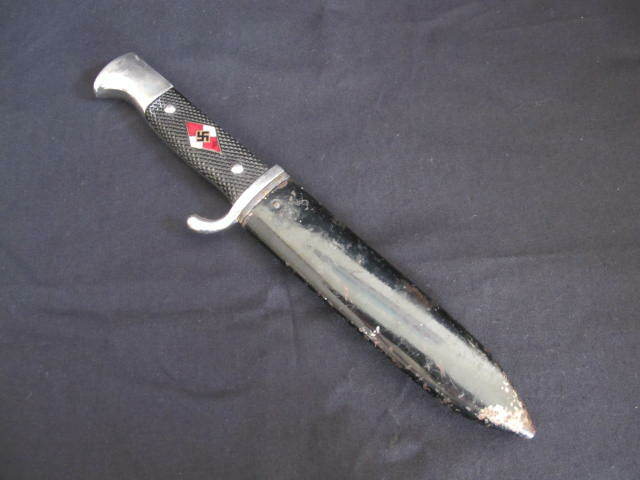 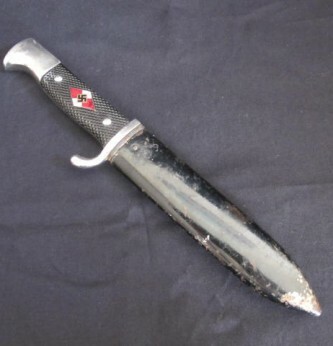 Nice condition Third Reich Hitler Youth boys dagger. 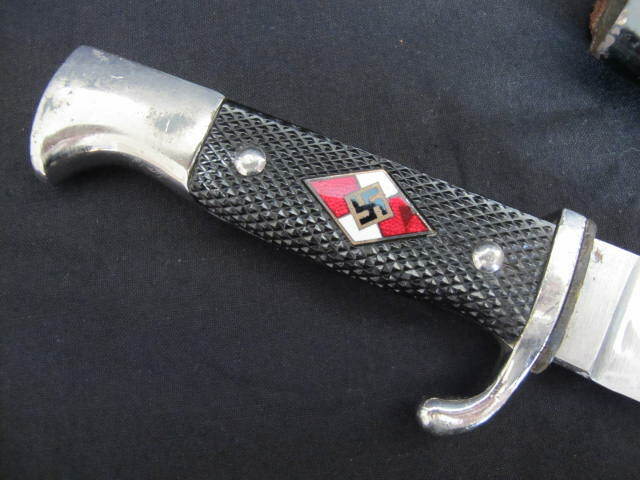 Complete with enamelled HJ diamond to chequered grip handle. 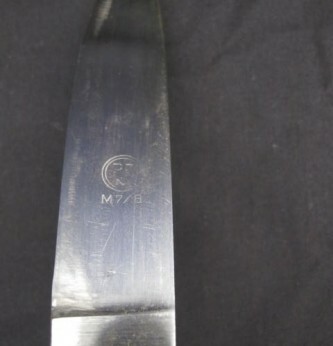 Blade in nice condition with only minor service wear. 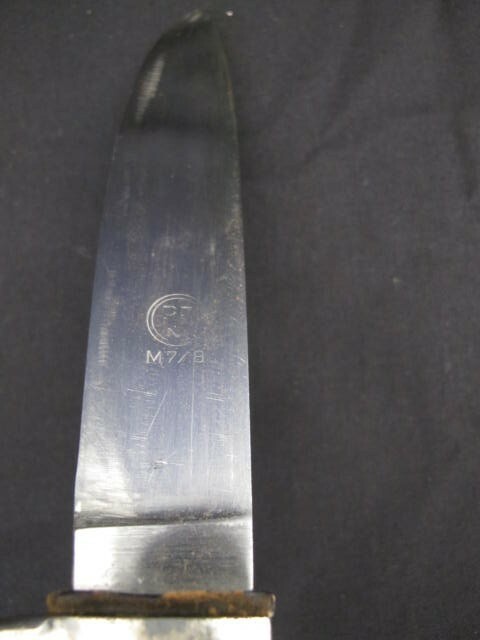 RZM/M7/8 mark to blade. 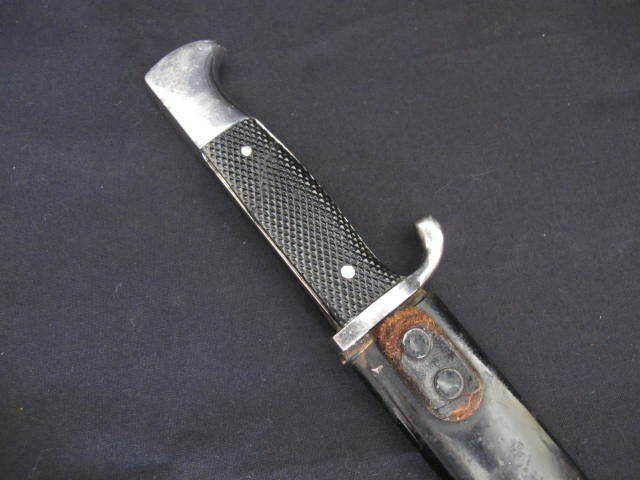 Complete with its original correct pattern scabbard retaining 80%of it original paint finish with just minor paint wear to lower scabbard. 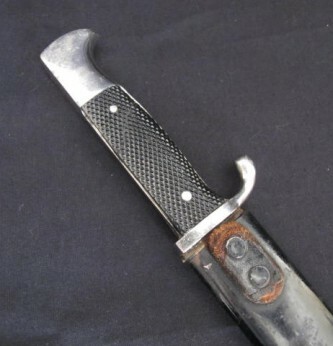 No belt loop remaining but a nice example of a HJ boys dagger.